3rd Dimension Studios is the trusted name for 3D customized hair replacement systems for men and women, our hair replacement specialists prepared the step by step guidelines on what you need to consider before ordering any of our non surgical hair replacement systems. What activities can I do and feel secure with the hair system? You can feel secure doing any activities in your hair system that you would normally do, including diving, swimming, working out, wake boarding, hot yoga, and any other sports you enjoy. We guarantee your system will not fall off or become displaced once it is applied. The systems applied in our hair replacement studio are more fade resistant than other systems due to our demand for high quality hair. However, with significant direct sunlight, your system could fade slightly, in which case we can correct this during your monthly maintenance appointment. Can I still buy and use a 3d hair system if I do not live nearby ? We understand that not everyone can make it to our local area to apply and maintain a 3D hair system. We make use of Skype and Facetime in order to accommodate your needs. This includes gathering information to create your 3D system during our consultation process, and providing you with guidance for applying your hair system, along with performing regular maintenance. We have done this for several customers throughout the world. How long will my 3D hair system last? The answer to this question tends to vary with your activity and lifestyle. Generally, a rule of thumb is that your hair system will last between 3 and 4 months before needing replacement. Will people be able to tell that I am wearing a hair system? Are there lines on my forehead or anywhere else on my head? As you can see from our high definition video, our hair systems integrate naturally throughout the front hair line, and all around your head. We guarantee the system will be 100% invisible. 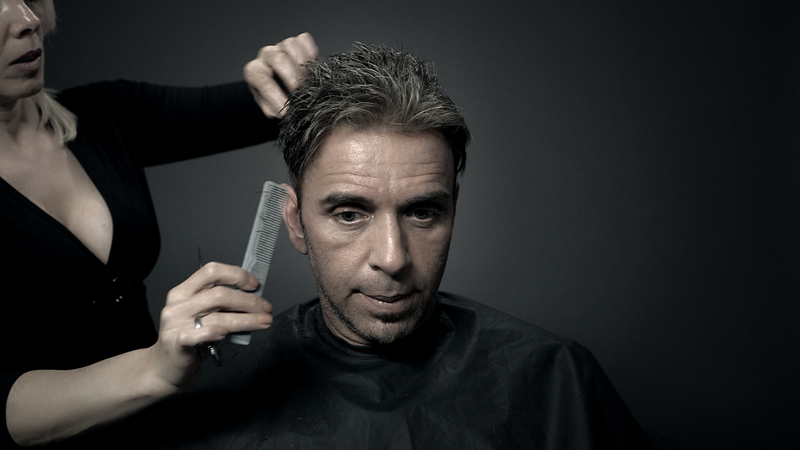 If you still have doubts, feel free to speak with our chief stylist: he wears a 3D hair system himself. What type of hair is used in the 3D hair systems? 3rd Dimension Studios only uses 100% virgin Remy hair or European hair. It must pass our rigorous quality standards before even being considered for a 3D hair system. 3rd Dimension Studios can arrange a program that suits your needs, depending on the number of 3D hair systems you should get annually, and including the monthly maintenance visits. Each program has affordable monthly payments to meet your budgeting needs.